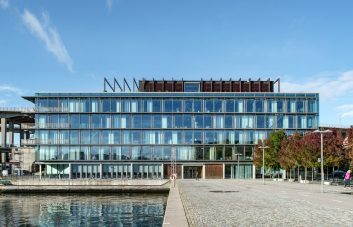 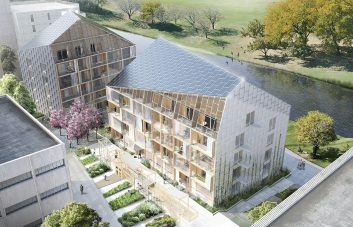 Denmark – While we often denote sustainability with environmental advances in energy efficiency, the broader meaning of sustainable architecture in Denmark includes social and economic sustainability as well. 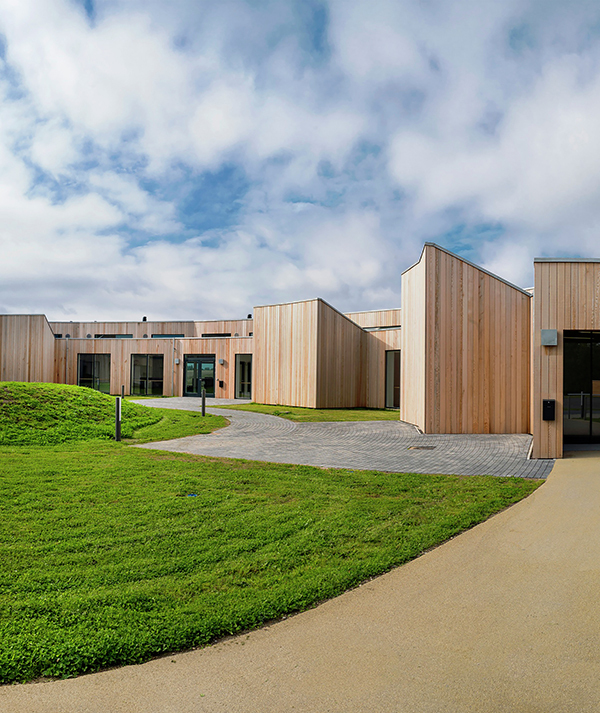 We visited a great example of an architectural response to social sustainability, the Musholm project in Korsør, Denmark, by AART architects. 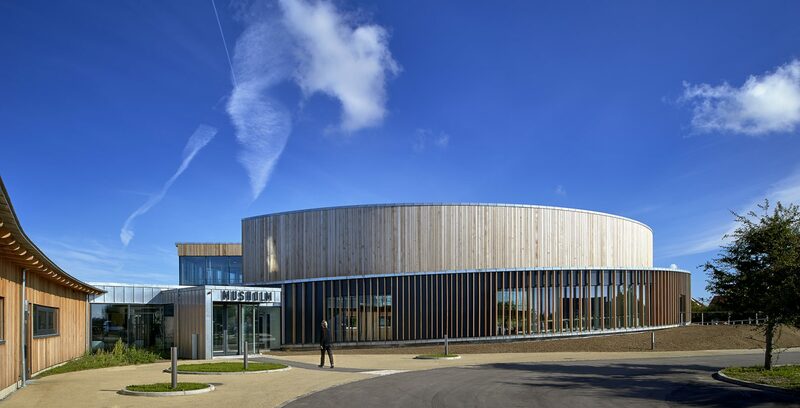 This holiday and sports facility is one of the world’s most innovative resorts for people with disabilities, offering a wide range of facilities for guests, whether they are disabled or not; it has been wildly successful while expanding tourism in the region. 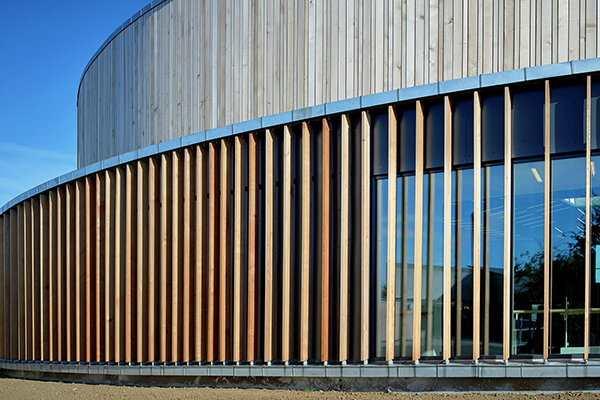 The project’s most significant design feature is a circular multi-purpose sports hall. 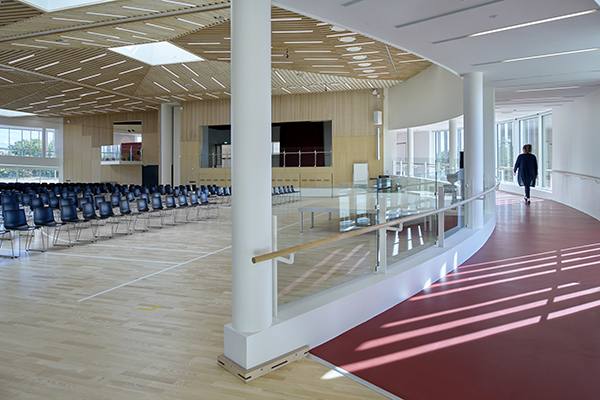 It features two athletic courts that can be used separately or combined to form a larger event space, with a stage at one end. 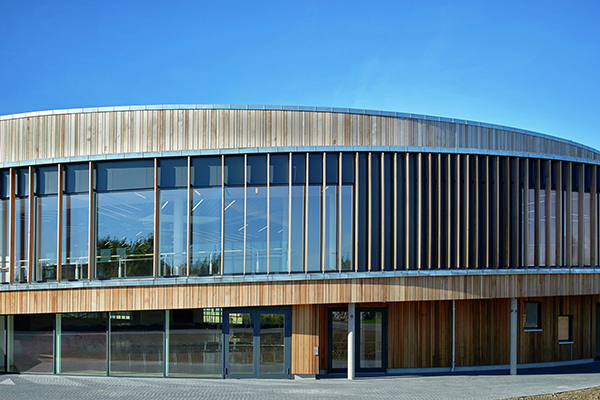 An ascending circular “experience ramp” wraps around the perimeter of the hall, giving it its round form, and features full height glazing on one side and views to the hall on the other. 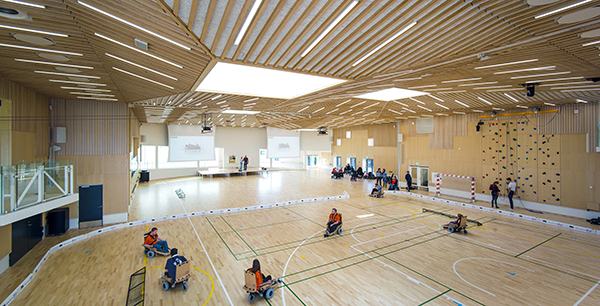 The ascent is thus punctuated by specific views: there are spectator platforms, activity rooms, and panoramic vistas of the sports being played below (we were able to watch the staff setting up for a game of wheelchair hockey). 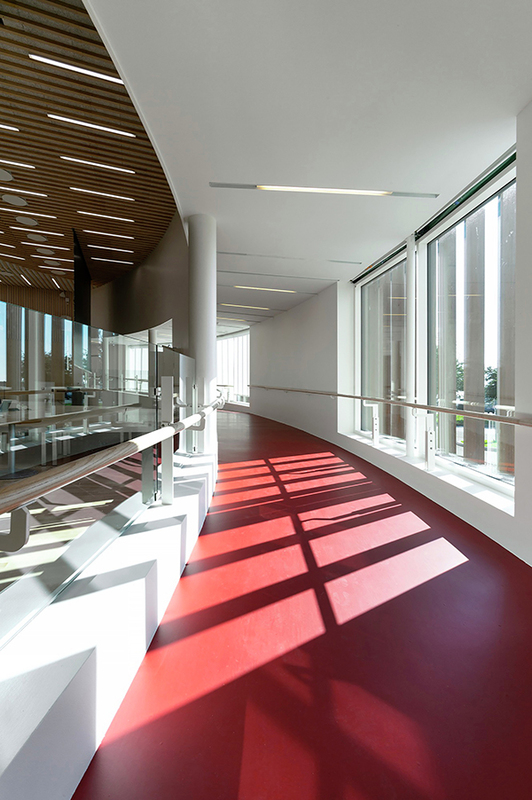 Rather than be relegated as a mere accessibility requirement, the ramp then becomes a celebrated design feature of the building. 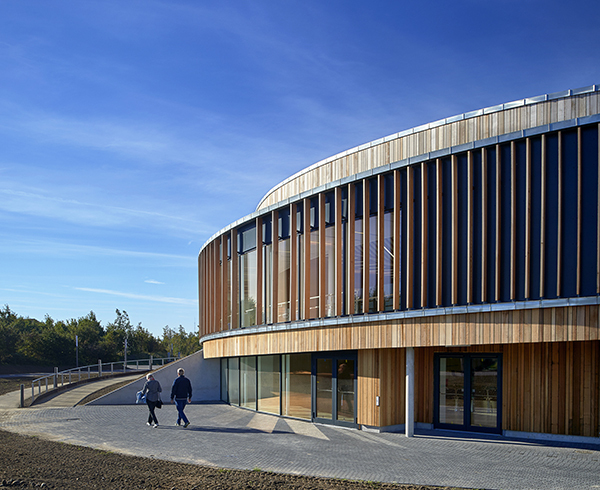 It is expressed on the exterior as well, where a continuous ribbon of windows curls around the circular form of the wood-clad hall. 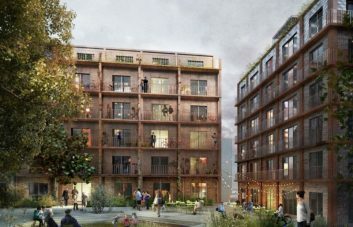 Additionally, a group of guest rooms form the shape of an arc on the site, demonstrating the egalitarian nature of the facility. 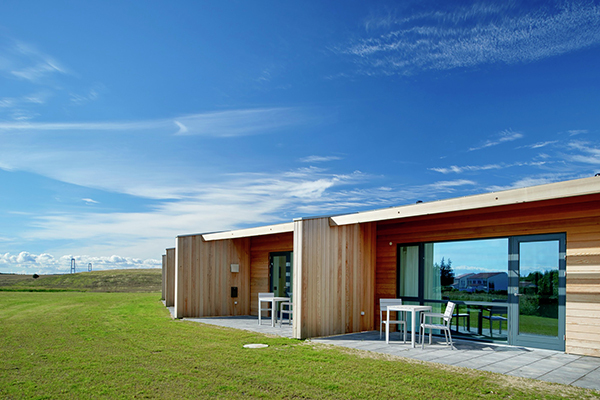 Each guest room is the same size and features its own private terrace with views to rolling hills, the sea, and the Storebæltsbroen bridge beyond. 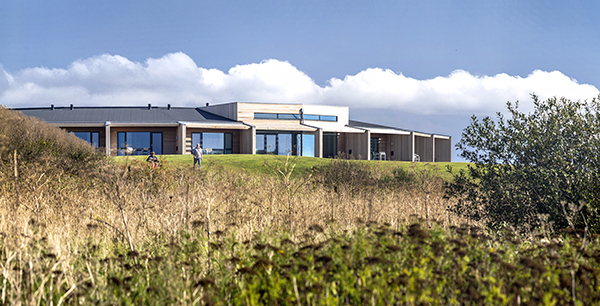 Guests are treated to light, air, and access to the truly idyllic landscape setting, where the architecture offers an unparalleled visitor experience for all. 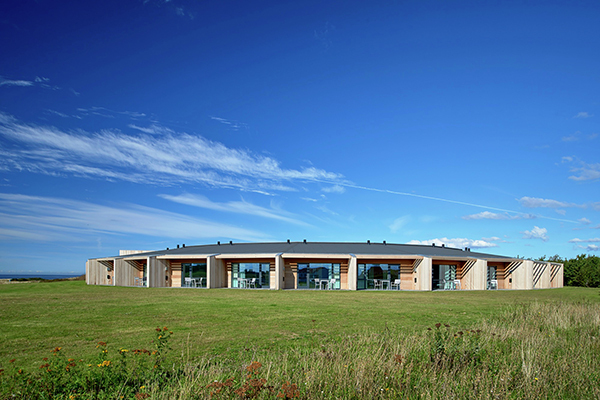 Enter your email address to follow our blog and receive new updates by email.